The iPhone maker recently won a Cannes Lion for Today at Apple. It was called “a great example of how brands really play a meaningful role in people’s lives,” by the head of the jury that gave the award. 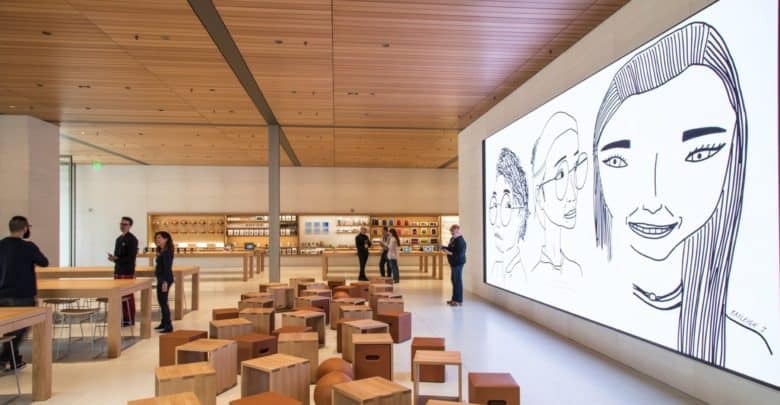 In front of the high-definition screen in the Seattle store are wood and leather chairs so people can be comfortable while learning more about Apple products. Or if people just want a break, they can sit on Adirondack chairs on the porch. “We really want that town-hall feeling to be the anchor of the store,” said B.J. Siegel, Apple’s senior director of store design told The Seattle Times. This is still a store though, so tabets with iPhones, Macs, and iPads are available around the edges of the retail space. The Seattle Apple store is scheduled to open Saturday. It’s very near the old University Village location, which closes Friday.